Theresa May has ripped up two decades of ‘failed’ liberal interventionist foreign policy that has dragged Britain into a string of disastrous conflicts. In a decisive break with the Blair and Cameron eras, the Prime Minister said the days of the UK using military force to ‘remake sovereign countries in our own image’ were finished. Speaking to senior US politicians, she laid out a new set of rules which will see the UK intervene only when the ‘threat is real’ and it is in our own interests. Russia is in favor of a unitary and secular Syria, but the fate of the country is up the Syrian people, the Russian Foreign Ministry spokeswoman said Thursday commenting on Moscow’s draft of the Syrian constitution. 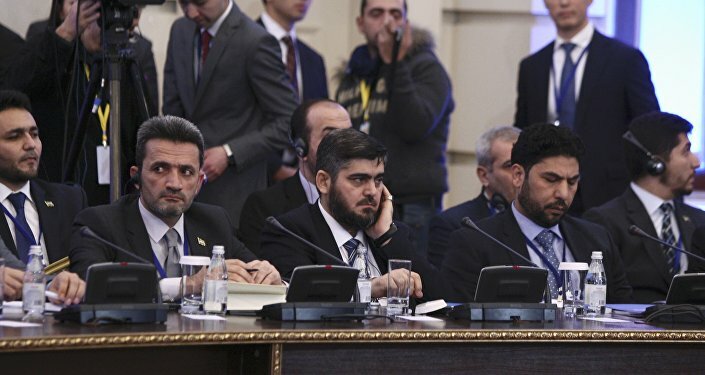 MOSCOW (Sputnik) — Earlier in the week, the draft of the new Syrian constitution, prepared by Russian experts, was presented to the Syrian opposition by the Russian delegation during the settlement talks in the capital of Kazakhstan. Head of the Russian delegation Alexander Lavrentyev underlined on Tuesday that Russia was not interfering in consideration of constitution and presented the draft to the opposition simply in order to accelerate the process. Earlier in the week, media reported citing unnamed sources that Russia’s proposals included exclusion of the word “Arab” from the official naming of Syria, creation of the Kurdish autonomous region in the country and equal rights of both the Arabic and the Kurdish languages among other issues. Donald Trump had to abandon his Android phone for a more secure device that fits his new office. But a new report reveals that an old Android handset still sits by his side, acting as the president’s personal tweeting machine, in spite of protests from his own advisors. That’s quite a security risk given that Android is a constant target for malware makers and that some governments out there would be inclined to use Android malware against their opponents. How old is his Android phone? Reports claim it’s a Galaxy S3 that was first sold in 2012. The phone is so old that it’s not receiving any new security updates, let alone major Android releases. First, we heard that President Donald Trump gave up his Android-powered mobile phone and accepted a so-called secure phone provided by NSA. Now we hear that, in fact, he has kept his Android phone, but is only using it for sending tweets on Twitter. Otherwise, the phone just sits on his desk or on a nearby table. 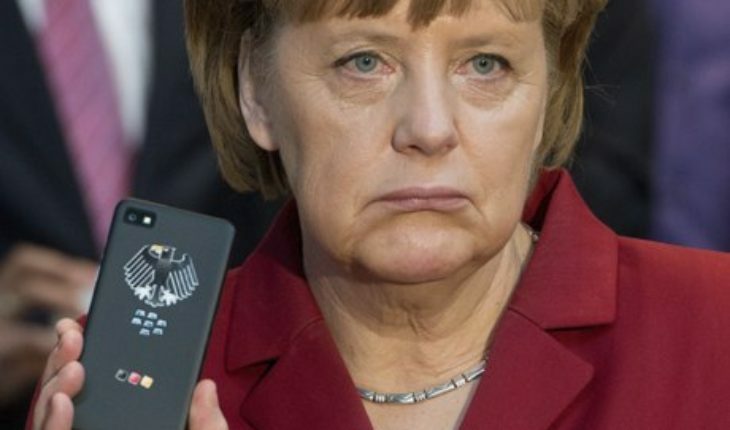 Having an Android phone, or any other mobile phone including iPhone in the Oval office or on the person of the President is a terrible idea. Mr. Trump should ditch the phone as soon as possible. If he wants to tweet he can do it from a computer that does not have a camera or microphone and has as strong a firewall as available. It should be separately connected to the Internet and not in any way connected to any government system. This will give him some protection and protect the country better. Jan. 25 (UPI) — The first troops dispatched by NATO from Germany and Belgium to beef up its forces against Russia have arrived in Lithuania. On Tuesday, about a dozen German officers arrived in the capital city of Vilnius as part of a planned deployment of a 1,200-strong battalion from other NATO members, including from Norway, the Netherlands, Luxembourg, Croatia and France. The battalion will be stationed in Rukla. German soldiers train for deployment to Afghanistan at Hohenfels in 2005. German troops have been part of the NATO-led coalition in in that country for more than a decade. KAISERSLAUTERN, Germany – When German and Dutch armored units recently held a joint exercise, the tanks weren’t allowed to fire their main guns because a military cost-cutting measure prevented them from having the necessary fire prevention team. Ongoing drills in northeastern Germany illustrate the day-to-day problems Europe’s economic powerhouse faces in upgrading its armed forces and answering the criticisms of President Donald Trump, who says that NATO is obsolete because members are getting a “free ride” at America’s expense. Like many other alliance members, Berlin is nervous about Trump’s commitment to the trans-Atlantic relationship. He has directly criticized Germany — which hosts the largest number of U.S. troops in Europe — and accused Chancellor Angela Merkel of making a “catastrophic mistake” by allowing into the country more than 1 million migrants, mainly from the Middle East and Africa. China has warned the United States it would not retreat from claims that it controls the South China Sea. “China has indisputable sovereignty over the South China Sea islands and their adjacent waters,” foreign ministry spokeswoman Hua Chunying told reporters at a Tuesday news briefing in Beijing. “The United States is not a party to the South China Sea issue,” Chunying added. Raytheon and its partner, Italian defense company Leonardo, are exiting the increasingly crowded competition to build the U.S. Air Force’s next-generation T-X trainer. Raytheon is backing out of a deal that state and local leaders hoped would bring a plant to build U.S. Air Force jet trainers to Meridian and create 450 jobs. 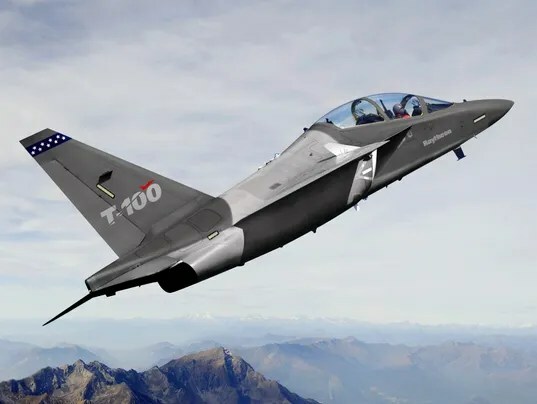 Raytheon and Italian company Leonardo-Finmeccanica early last year had teamed up to pursue the U.S. Air Force Advanced Pilot Training program, building the T-100 training jet. In October, the companies announced plans to build a plant in Meridian near the Meridian Regional Airport if awarded the program contract. While Air Force approval was pending, local, state and federal officials had indicated the deal was likely for Meridian to get the plant. Newspaper publisher Josef Joffe came up with a not so novel idea to remove Donald Trump from office; have someone in the White House murder him. After a caller to the show asked the panel if there was “still a way out of the Trump catastrophe” to remove him from office, one female panelist began discussing how she thought Trump might be impeached before his first term was up. “There has to be a qualified two-thirds majority of the Senate in order for a removal of office to take place. These are politically and legally pretty high hurdles, a lot would have to happen for it, we’re far away from that,” she said. “Josef, remain serious,” the woman responded. The host of the show appeared to be on edge and eager to move on quickly. Joffe is the publisher-editor of Die Zeit, a weekly German newspaper. He is also a courtesy professor of political science at Stanford University. However, Russian military analyst Vasily Kashin told Sputnik China that not all of the data reported by the newspaper is accurate, to put it mildly. First things first, Kashin explained, it’s way too early to conclude whether China no longer needs to purchase Russian-made aircraft engines, given the fact that several contracts for purchasing aircraft engines were signed by Beijing and Moscow not so long ago, in autumn 2016. “China signed a contract to purchase a shipment of D-30KP2 engines for Y-20 transport aircraft, along with a contract for new AL-31F engines for Chinese fighter jets; each contract is worth $658 million. It is unclear exactly which type of fighters they want to outfit with these engines: it could be both J-20 and J-16 aircraft. In any case, while China’s industrial sector has made considerable strides in providing an adequate supply of engines to the nation’s air forces, Beijing is still far from being completely self-sufficient in that area, especially when it comes to the new types of aircraft,” Kashin said. He also pointed out that China also attempted to purchase an additional shipment of 117S aircraft engines, apparently in order to study them, but Russia proved reluctant to make such a deal. “It should be noted that the J-11D cannot be considered a ‘Chinese Su-35’. It is a separate and independent attempt to radically increase capabilities of heavy fighters belonging to the Su-27 series. The radio electronic equipment installed aboard the J-11D differs from that of the Su-35, and the two aircraft also differ from one another in terms of frame construction and aerodynamics,” he said. German Journalist Gernot Kramper compared two videos showing the US-made M1 Abrams tank and the Russian-made T-90 being hit by anti-tank missiles. He found that the Russian-made military vehicles demonstrated much better resistance and a higher level of armor protection than the American one. The recent military operation in Mosul shows that the US-led coalition is superior in the air, but its land operations leave much to be desired, Kramper wrote for German magazine Stern. “The tank, weighing more than 60 tons, was supposed to protect its crew from something like that. The M1 Abrams is a combat armor tank of the US forces that is still in use. It was introduced for the first time in 1979, and since then it has been modernized several times. The Iraqis, however, have only reclaimed older versions available. The main problem is that the tanks have obviously not been reequipped with modern defense features,” the journalist wrote. Apparently, a rocket hit the most vulnerable part of the tank — the compartment with ammunition. However, the 60-ton tank was still supposed to provide protection for the crew. Obviously, the tank in question did not possess active defense systems. There was also no reactive armor on the vehicle that could have reduced the damage, Kramper stated.